I love to play and design tabletop games. 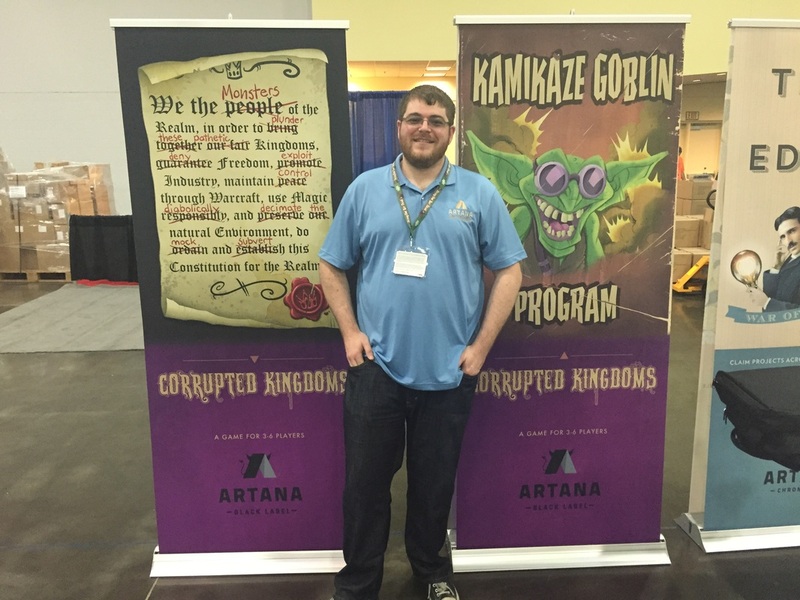 My first game, Corrupted Kingdoms was published in 2016 by Artana Games and released at Gencon. I am currently working on an economic game about Chicago's golden age from 1870 to 1930, a legacy game set in a Cyberpunk universe, and a lighter euro about running a merchant shop in a fantasy RPG universe. I am also developing an Open Source tournament management app for Catan Studio and the tabletop industry, called TourneyMan. In addition to all thing Eurogame, I'm an avid 18xx Gamer and love writing about game design, and the game industry in general.